Vredestein supplies a range of special tire sizes designed for summer and winter use. When it comes to reliability and safety, the Sprint+ and Snow+ have a proven track record. Top features include excellent steering response and a longer life, due to the special tread compound and cleverly designed contour of the tire. 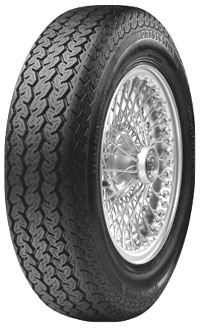 Vredestein’s new tire, the Sprint Classic, completes the classic range. The Sprint Classic was specially developed for enthusiasts with an eye for detail and design. While the unique tyre profile and contour remain unchanged, a stylish sidewall marking has been added.However,beneath all the classical exterior lies the most advanced technology. Vredestein supplies a range of special tire sizes designed for summer and winter use.When it comes to reliability and safety, the Sprint+ and Snow+ have a proven track record. Top features include excellent steering response and a longer life, due to the special tread compound and cleverly designed contour of the tire.